The NC100BW Greater Cleveland Chapter was founded on October 3, 1990 by Margaret Barron as the chartering president. 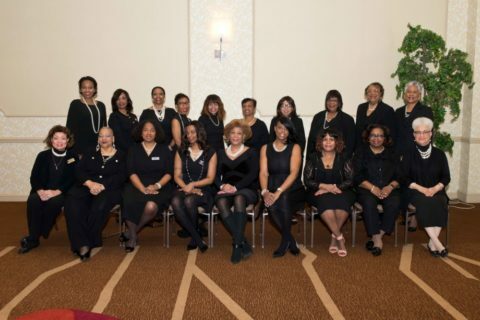 Members of the National Coalition of 100 Black Women Greater Cleveland Chapter represent a diverse cross-section of professions and fields of endeavor. 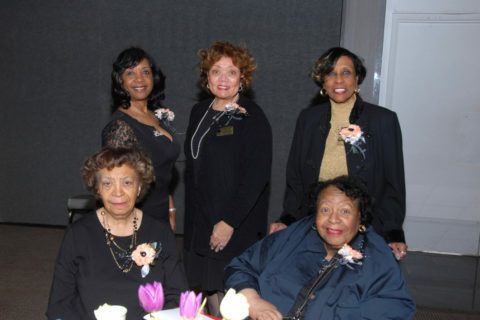 (L-R) 2nd Vice President Fund Development Deborah A. Hill; Sergeant at Arms M. Sandra Truett; Historian Donna Moore-Ramsey; Barbara Barron; and Founder Margaret R. Barron. NC100BW Greater Cleveland founder Margaret Barren for whom a scholarship has been named. 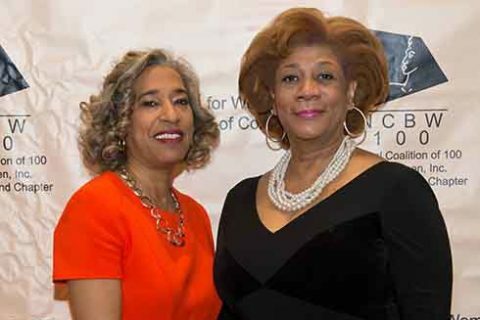 (L-R) 2018 Woman of Vision honoree AES Management Corp. President Vanessa L. Whiting, Esquire and NC100BW President Elizabeth A. Jones. 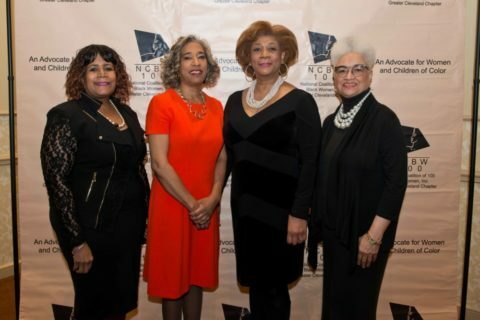 (L-R) Luncheon Co-Chair Lillian Sherrod, honoree AES Management Corp. President Vanessa L. Whiting, Esquire; NC100BW President Elizabeth A. Jones and Co-Chair Marcella Boyd Cox. 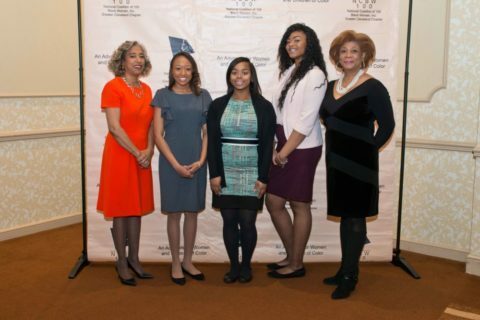 (L-R) Honoree AES Management Corp. President Vanessa L. Whiting, Esquire; Kayla Marshall; LaNia Calhoun; Ashlee Rembert; and NC100BW President Elizabeth Jones. Not pictured: Scholarship recipient Taylor Grant. An Advocate for Women and Children of Color. OF 100 BLACK WOMEN INC. 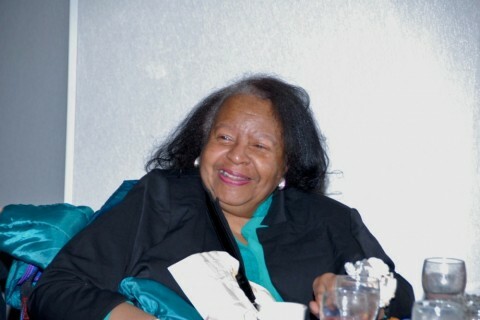 Thank you for visiting the Web site of the National Coalition of 100 Black Women Inc. Greater Cleveland Chapter. We are pleased to share information about our organization and the work we carry out in the Greater Cleveland community. On this site you will find details regarding our national and local history; advocacy priorities; programming activities; strategic alliances; fundraisers; and scholarships. We hope you will visit often and appreciate your continued support! The National Coalition of 100 Black Women Inc. Greater Cleveland Chapter was founded October 3, 1990 with Margaret R. Barron as the chartering president. NC100BWGC is a non-profit 501 (c)(3) organization that advocates on behalf of women and children of color in the areas of health, education, economic empowerment, strategic alliances and civic engagement.